What Is Coconut Oil And What Are It Benefits of Using? 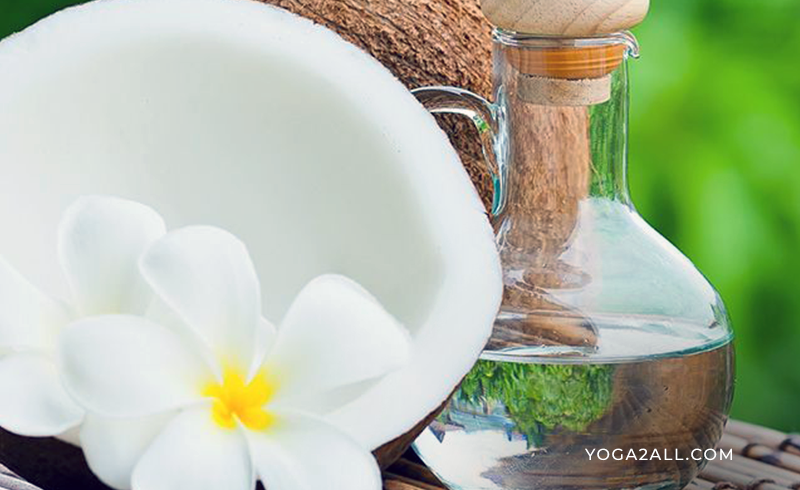 There are several benefits of using coconut oil for summer. And, here we have discussed how you can get the benefits of this oil. You can get the natural miracle to use this oil in summer. Studies have found that this oil has SPF of up to 8. Although, the protection is not high, using it sometimes on your skin makes it less susceptible to sunburns. The sun robs your skin of its water content as well as leaves it dry. Sometimes, you tend to have dry patches near your lips, temples as well as ankles. To retain moisture, pat coconut oil on your body parts that are exposed, and try to rub it properly in a circular motion gently until it gets absorbed properly. Studies also found that exposure to sun for a long period can badly affect the paper-think skin near the eyes. But using coconut oil can prevent this. It works wonderful like an eye cream. Coconut oil for summer helps to clean and lighten the dark circles, and also helps to keep the area absolutely wrinkle-free. Just you need to rub this oil on the area without giving too much pressure. In the time the moisture in the skin is lost thanks to the intolerant sun rays, high temperatures as well as humidity in summer season. It can make some of the serious skin diseases, for example eczema. But you can use coconut oil for summer on the red patches and flaky areas of your skin which will help you to get instant relief from itches and allergies as well. Next Article What Should You Know About Yoga for Healthy Mind & Body?